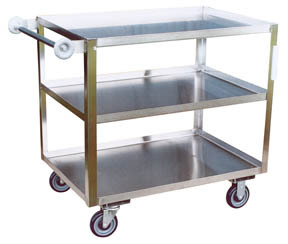 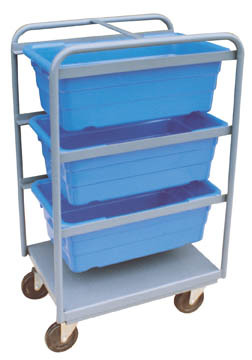 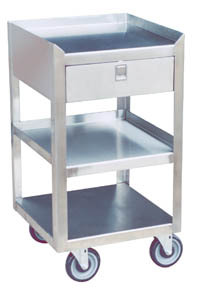 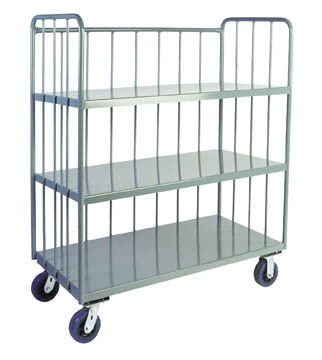 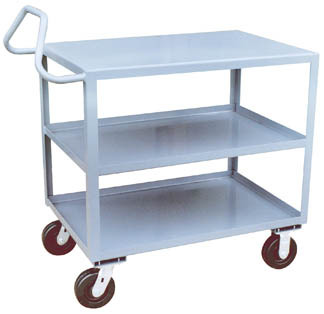 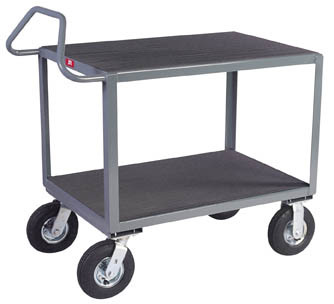 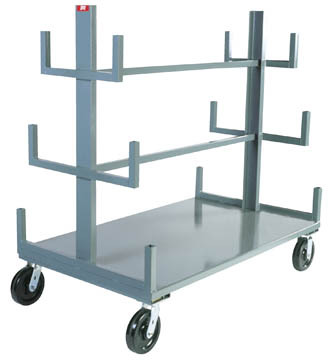 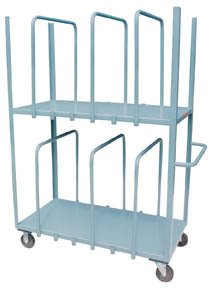 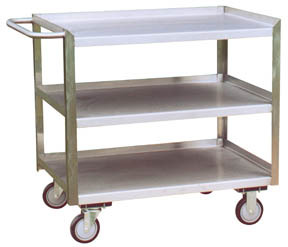 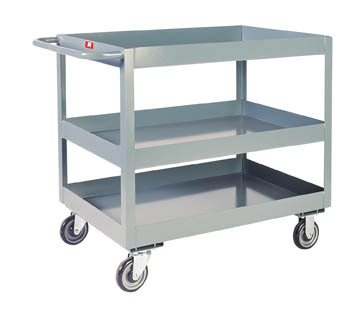 Industrial carts are mobile devices used for transporting goods and materials. 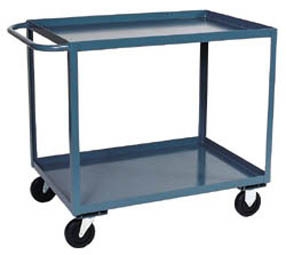 There are many types of industrial carts: tool carts, container or service carts, instrument carts, janitorial cleaning carts, linen and laundry carts, office or mail carts, and waste and recycling carts. 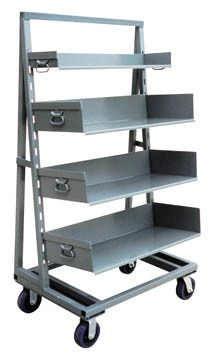 Cabinet carts have built-in compartments that are generally closed off by doors.